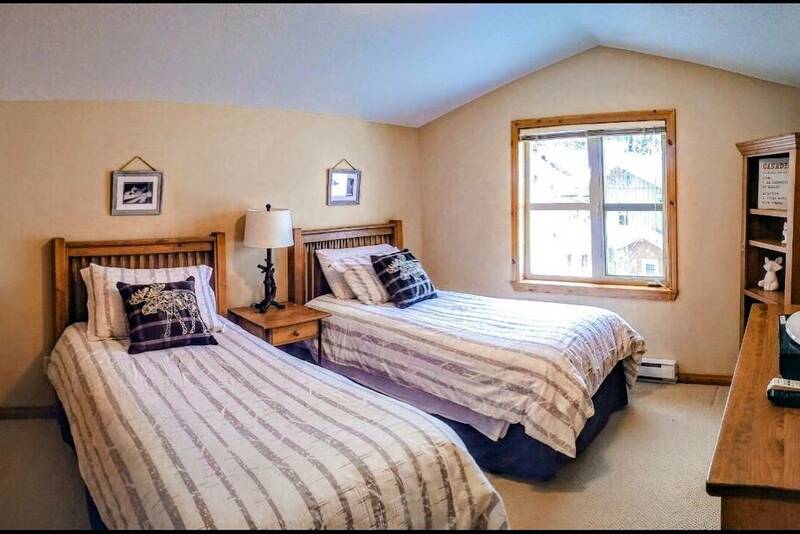 This Crystal Forest Sun Peaks townhouse (unit #69) is very clean, comfortable, and centrally located near Sun Peaks village as well as the skating rink, swimming pool and sports complex. Ski in Ski out is easy too! While the Crystal Forest exterior is unique, colorful and even a little whimsical, the interior of this 3 bedroom, 2.5 bathroom townhome is very warm, welcoming, well-stocked and well maintained by caring owners Courtenay and Fox. And while it is also pet friendly and welcomes your fur babies, very clean and inviting. 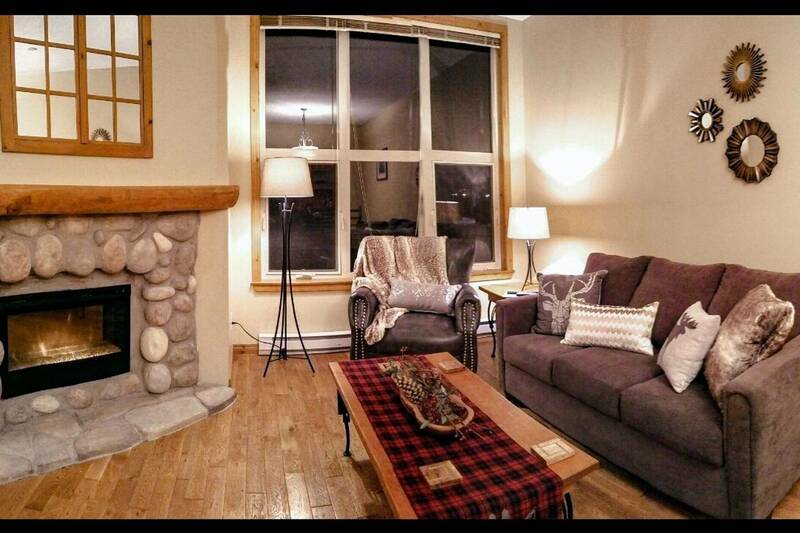 This Best Sun Peaks Crystal Forest Sun Peaks townhome has 1,166 square feet of comfortable space, spread out on 3 levels. 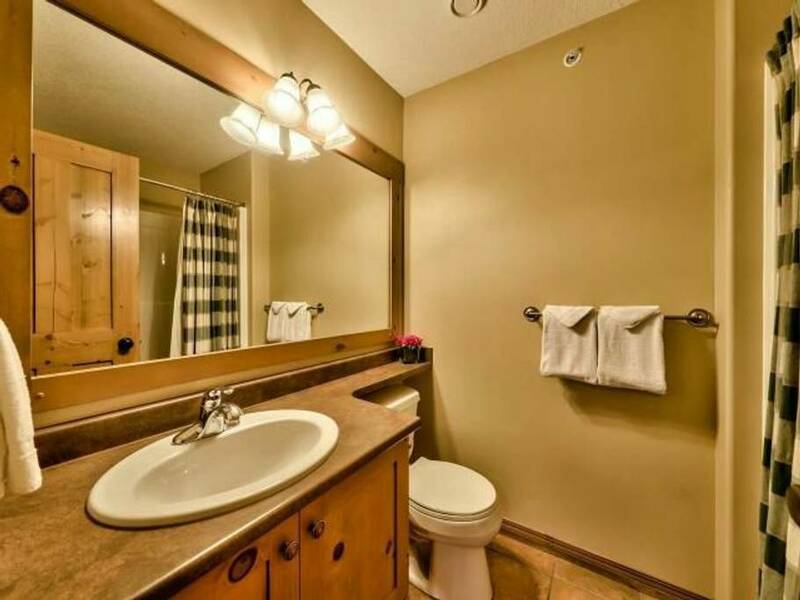 It can sleep up to 8 guests, and also offers a private hot tub, barbeque grill, and a heated underground parking space just steps away. This cozy Crystal Forest townhouse has three bedrooms – the master with a queen bed and an ensuite bathroom with heated tile floors, a second bedroom with a double bed and a crib for those with a young one, and a third bedroom with two single beds. There is also a sofa bed in the living room so this townhouse can accommodate up to 8 guests (and a baby and your fur baby). 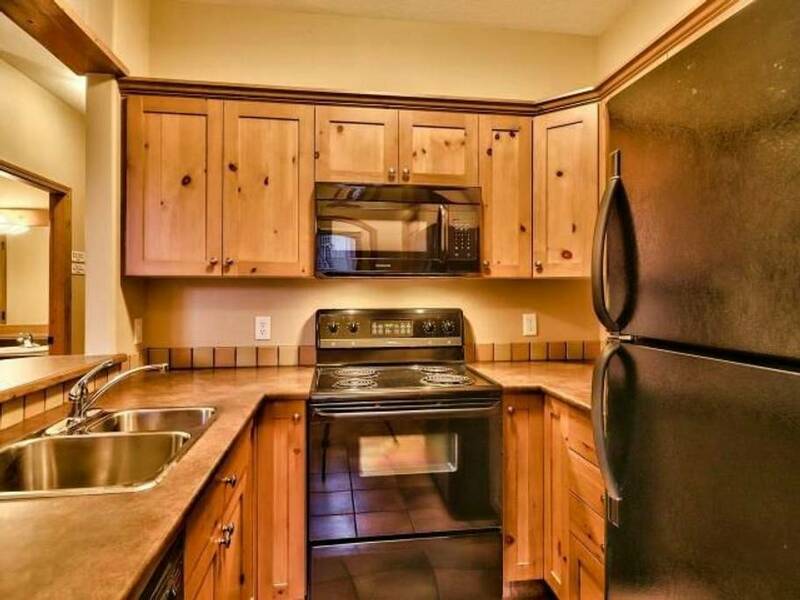 The kitchen is well-stocked (and has heated tile floors), and the townhouse also has in-suite laundry, a ski locker at the front entrance, a cozy river rock gas fireplace, barbeque grill, and of course a private hot tub. Crystal Forest Sun Peaks is centrally located just a few minute walk away from Sun Peaks village where you can ski-through to the Sunburst and Sundance Express chairlifts, or walk/ski along the pathway to the Morrisey Express and new Orient chairlift just a few hundred feet to the east. 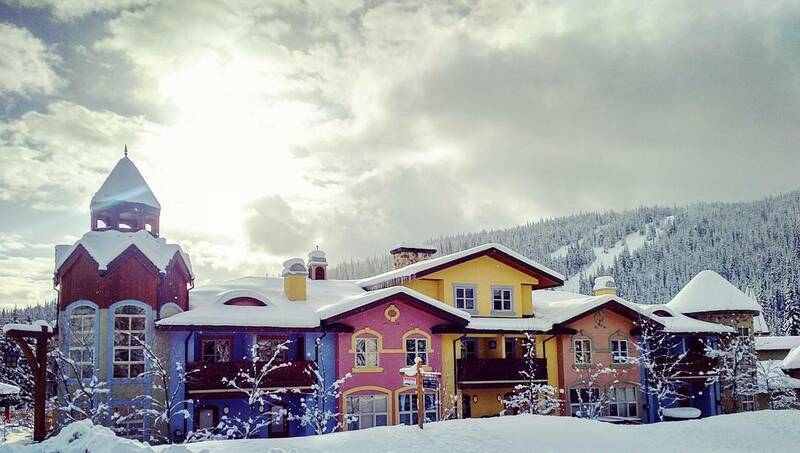 Ski-in/Ski-out is easy either way, and the free Sun Peaks Resort shuttle bus also stops in front during prime season. The cross-country/Nordic ski trails and Sun Peaks snowshoe trailhead are also nearby, as are the Sun Peaks Golf Course and the cross-country mountain bike trials in the summer and shoulder period months. Courtenay and Fox are very responsive hosts and do their best to ensure you have a wonderful Sun Peaks vacation no matter the season. 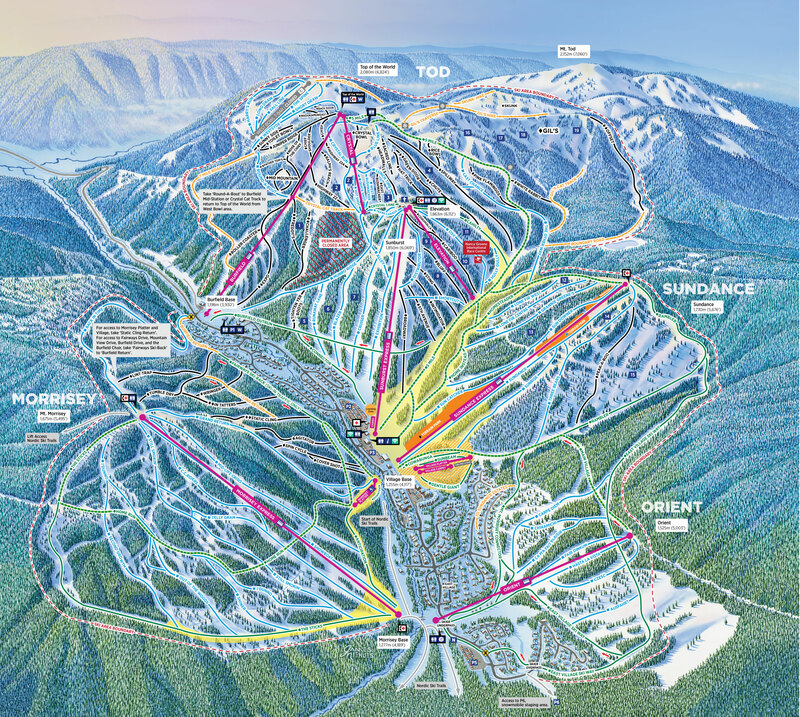 - ski-in via the Morrisey Connector, ski-in via a quick walk or the free shuttle bus to the ski-through village and then take the Sunburst or Sundance chairs, or walk a short distance to the Morrisey Express or the new Orient chair. 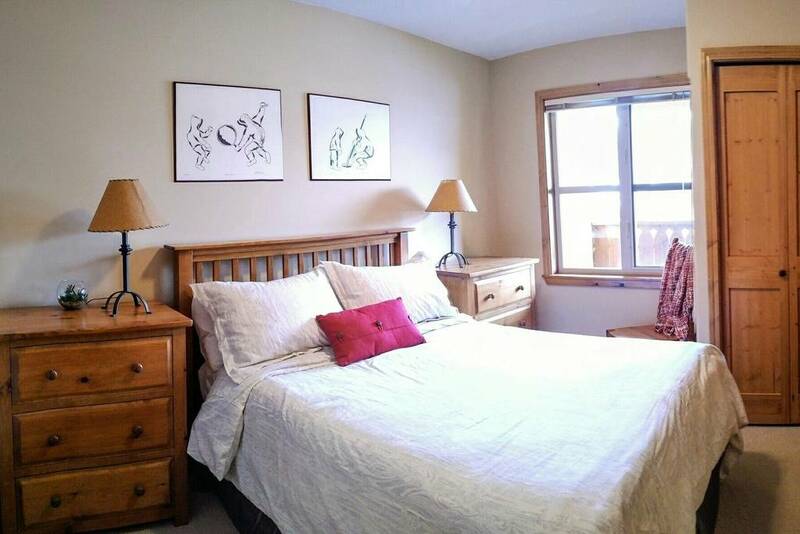 Guests may book direct this Crystal Forest townhouse with Fox and Courtenay (credit card via PayPal or etransfer) for best rates plus save the online booking fee. Taxes and related fees will be detailed on your quote. No parties and no smoking. Taxes plus a cleaning fee of $75 apply. Pet fee of $25/night where applicable. Refundable damage deposit of $500 also applies. Submit the form below for full owner quote. 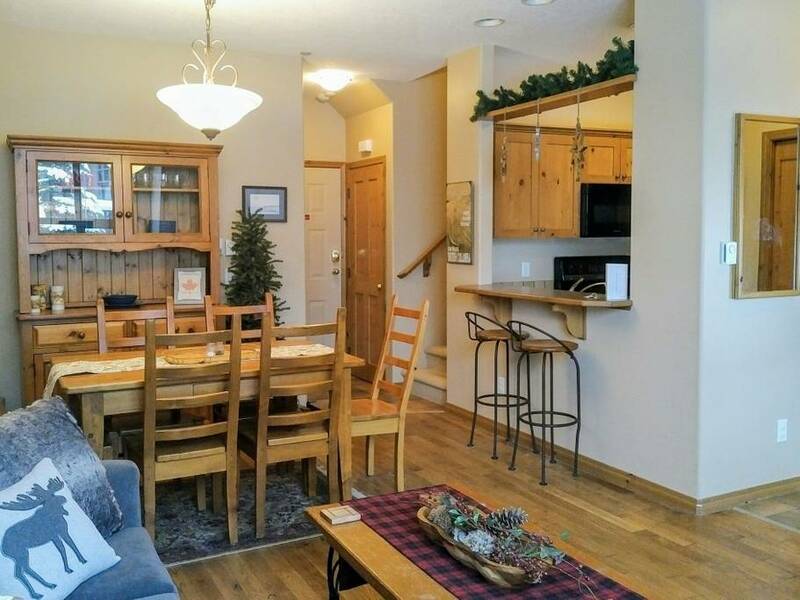 For an exact quote or to check for special offers and availability for this Crystal Forest Sun Peaks Vacation rental or other properties, please complete and submit the reservation quote form above, and either us or the owners will be in touch as soon as possible. 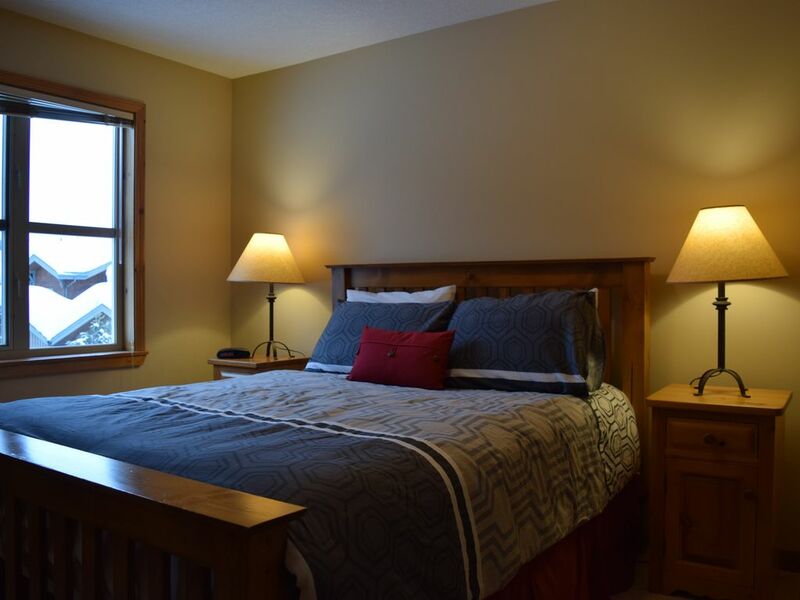 If your desired dates are not available, complete the form anyways as we know many other wonderful Sun Peaks Vacation Rental owners and will do our best to try and help you find suitable Sun Peaks accommodation.